Each new year, I choose a word to focus on throughout the year; it’s called it a “guiding word”. For me, a guiding word serves as a point of reference and perspective as I work toward and through my goals. 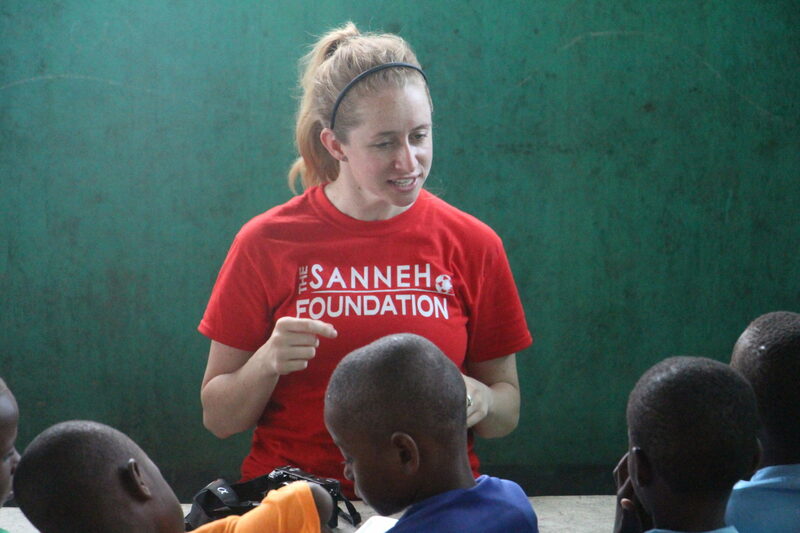 As my Haiti trip approached, I grew both excited and nervous. I started to ask myself questions. What will the Haitians be like? What kind of impact can I have on the community? What kind of impact can the community have on me? What do I hope to learn from this trip? How can I grow? I had so many questions and very few answers. It was overwhelming. So, I decided to choose a couple guiding words for the trip. The first word I chose? Unplug. As someone who works in social media, my days are spent on the computer and my phone is never more than an arm’s length away. It’s become a constant cycle of refreshing social media, replying to emails, and texting friends. For this trip, I wanted that to change. I needed it to. But, if I’m being honest, as much as I wanted to unplug, I wasn’t sure that I’d be able to. So, I decided that my laptop wasn’t coming on the trip and my cell phone was going to stay in my backpack while we were in the community. Now two days in, I’ve surprised myself. I’ve not only been able to unplug, but it’s been easy and undoubtedly worth it. This leads me into my second guiding word: Impact. When I booked this trip, I knew that it would not only offer an opportunity for me to have an impact on the community of Cite Soleil, but also the chance for the community to have an impact on me. In just two days of being here, I’ve seen the strength of community, power of soccer (sport) and just how far the goodwill of those around you can go. The efforts of Tony and The Sanneh Foundation’s Haitian Initiative, volunteers and donors, and the local coaches have created an unbelievable opportunity and escape for the children of Cite Soleil. Watching them learn in the classroom and thrive on the soccer field has been rewarding and humbling. Despite living in poverty and facing unimaginably difficult circumstances, these kids find incredible joy in the simplest of things. With just three full days remaining, I’m going to continue to keep these guiding words in mind and embrace the rest of what Haiti has to offer.